Your schedule is probably packed with patients wanting to get a comprehensive exam before they head back to school. While this is a busy time for your optometric practice, taking a bit of extra time before each appointment to pull benefits will not only help you earn more money, it could also benefit your patient. Below are three reasons why your staff should pull patient benefits a few days before the appointment. The lifecycle of a claim is complex, and with the increasing workload of your biller, your billing manager doesn’t always have time to rework rejected claims. To reduce claim management errors and increase your revenue from claim reimbursements, have your staff pull the patient’s insurance and eligibility before the appointment. A lot can happen when a patient is in the exam lane. A simple comprehensive exam can quickly turn into something more serious that requires swift action. When a comprehensive eye exam changes to a foreign body removal, it’s good to know ahead of the exam if the patient’s insurance covers the procedure and testing. By pulling both a patient’s vision and medical insurance benefits before an appointment, an OD can walk into an exam with full knowledge of what is covered, so when an appointment type has to change, they can quickly administer the special testing that is required. On that same topic, when a patient learns that their comprehensive exam has turned more serious, they don’t want to have to wait for the staff the check with their medical insurance to see if a special testing or other procedure is covered. When you pull benefits early, you put your patient’s mind at easy so you can address their problem quickly without delaying care. 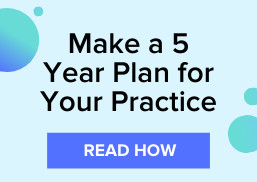 Discover how you can earn more money on your claim reimbursements with this free guide.